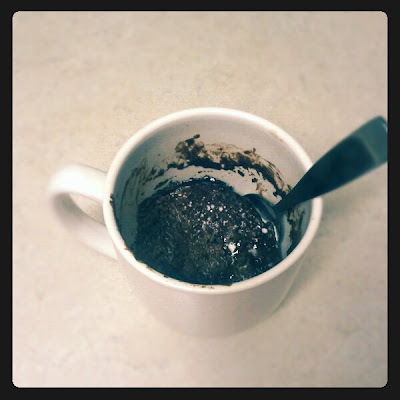 THREE ingredient gooey mug cake no less. and did i mention one of those ingredients was chocolate?! this is WAY easy and TOTALLY sinful stuff we are talking about here..
found this recipe on pinterest..
an egg, some powdered sugar, & a little cocoa powder. 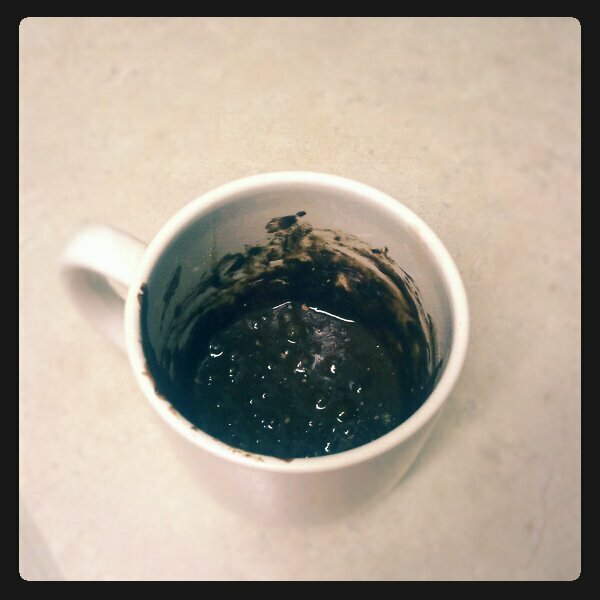 50 seconds in the microwave in a coffee cup..
so.. uhm.. why are you still here? you should be eating this chocolate gooey cake by now. go forth and get plump. Yum. My son makes this all the time and he loves it.